I believe that everyone deserves clear, concise copy that is human and approachable, no matter how technical the subject matter. Whether it's musing on Boolean logic or launching an Internet of Things start-up, I focus on what technology does for people. You are watching Walter White's death scene in "Breaking Bad" (oops--spoiler alert! ), and the soundtrack is driving you crazy. Who did this “baby blue” song? Here's why vector-space modeling is better than Boolean logic when searching for answers to life's most important questions. I used this premise in a web article I wrote for Cornell's Computer Information Sciences department, which can be found here. A more technically detailed version can be found in Digital Content/Articles. 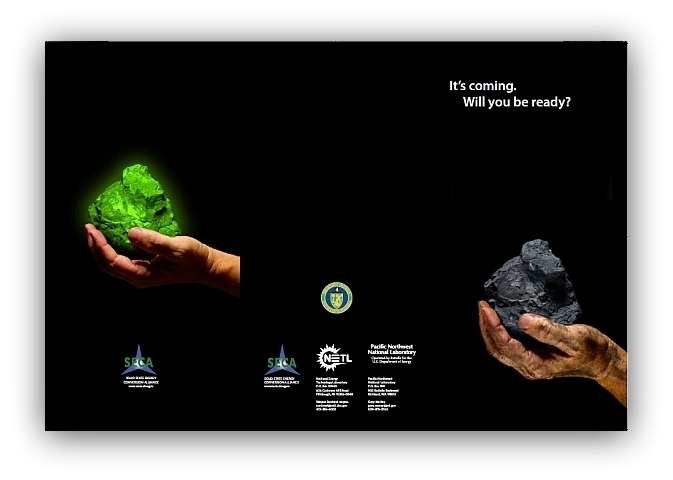 For the DOE's SECA (Solid State Energy Conversion Alliance) program, I wrote a brochure designed to prime the coal industry for the concept of fuel cell technology as a cleaner alternative. Videk specializes in quality-control systems for manufacturing. This concept showed how an assembly-line screening system can detect internal flaws in food products. ICS is a networking and telecommunications company specializing in cable and IoT systems. I wrote this video script, which won an Addy Award. It's not just a piece of wire. It's the start of a connection. Connecting: our most basic human instinct. Think about it. None of these people have ever met. They don't live in the same towns. They don't work in the same businesses. They don't think the same way, or believe in the same things. Yet they are all connected, and they don't even know it. What connects them? We do. ICS Telecom. The end of our line is the beginning of your story.